World Cruise! 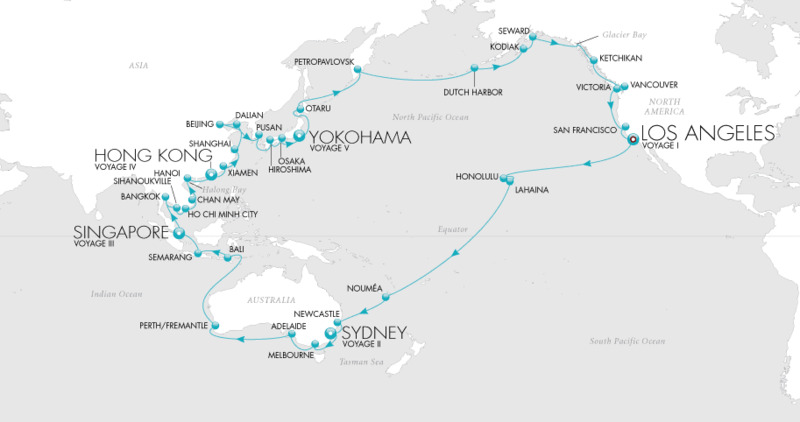 Yes, a cruise around the world in 2012 is something I have been dreaming about for a while now. 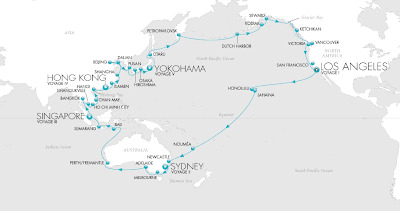 Crystal Cruises, a luxury cruise line, offers an amazing 94 day Pacific Ocean cruise. Some of the highlights are stops in cities like Sydney, Bali, Ho Chi Minh City, Singapore, Tokyo and Osaka! This would be a dream come true to make it on this ship. I've been envisioning myself enjoying the beautiful ocean surroundings for 94 days of pure bliss... Plus I'd be sure to get some great writing done.